YOU PAY NO FEES UNTIL WE WIN YOUR MICHIGAN DOG BITE CASE! Looking for a dog bite injury attorney? The attorneys at Krupp Law Offices have over 85 years of legal experience. Our Michigan dog bite attorneys have helped people who have suffered dog bite injuries. 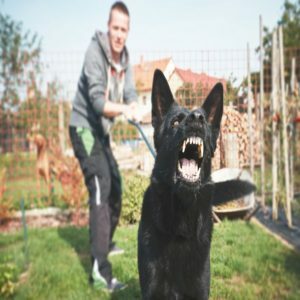 Schedule a FREE consultation with our Michigan dog bite attorneys so we can help you with your Michigan dog bite or dog attack case. There are no up front fees to purse your dog bite claim! WHAT SHOULD I DO IF I HAVE A DOG BITE INJURY? If you have suffer a dog bite injury, you should immediately contact the police and animal control. They will interview the witnesses and get all the information about the dog bite. Next you should get immediate medial attention. Go the hospital or urgent care to get your injuries treated. Make sure to take picture for different angles. Continue to take pictures until your injury has fully healed. Next, call the dog bite injury attorneys at Krupp Law Offices for a free dog bite consultation. We will review your case and discuss your dog bite claim. HOW MUCH WILL A DOG BITE INJURY ATTORNEY COST? You will not be charge anything, until we settle your Michigan dog bite injury case. Your phone calls, consultations, and all you paperwork is prepared free of charge. We will review the facts of your case and explain Michigan dog bite law for no charge. If you want to have us pursue your dog bite claim, we will only be paid a third of the recovery for our work when you receive your settlement. Pick up the phone and call us immediately for help. Our attorneys have over 85 years of combine legal experience and know dog bite laws. We will make sure that we get all the required evidence and all steps are taken to get you the best result. Krupp Law Offices has been helping people like you for over 50 years. Most of our new clients are referred to us by existing or past clients. HOW DO I GET STATRTED WITH MY MICHIGAN DOG BITE CASE? Call us immediately for a FREE no obligation dog bite injury consultation with one of our lawyers. We can answer your dog bite questions.